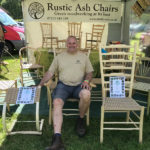 Established in 2015, Rustic Ash Chairs is based in Oxfordshire and prides itself on creating bespoke strong, functional and comfortable chairs; using only traditional green woodworking chair-making techniques. 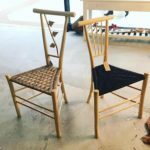 Each chair is hand-made by a skilled craftsman and seated using Danish cord, paper rush, sisal or bark in a traditional woven pattern. The natural uneven figure in the grain and the use of knotted wood adds particular artistic and unique features to individual chairs. 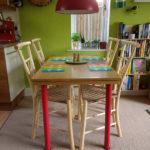 The chairs are designed with spindle, lath or ladder backs and can be made in a range of sizes from small children’s up to extra-large adult. 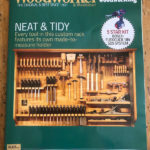 According to Wikipedia, green woodworking is “carpentry that works unseasoned or ‘green’ timber into finished items” but to me green woodworking is much more than that. 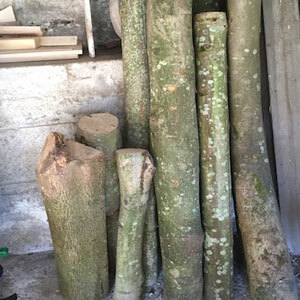 Green woodworking is the collective name for a wide range of traditional crafts that work in harmony with the wood using its innate flexibility and strength. These properties allow artisans to create bespoke furniture, utensils, bowls, and other household items with the minimum use of power tools. Unseasoned wood is easily worked using a range of sharp edged tools. Working with wood before it has dried is much gentler on the tooling and requires less physical effort. It is simpler to remove the bulk of the material at this stage and then carry out final shaping and finishing once the wood is drier. 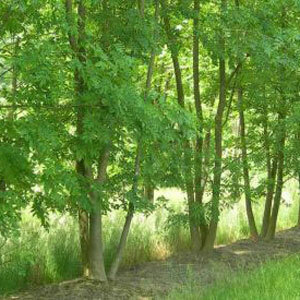 Ash (Fraxinus Excelsior) is a traditional British hardwood. Its properties of flexibility, lightness and strength (especially when working with the natural grain) have been harnessed for centuries. It is traditionally used for wheel spokes, tool handles and furniture making. Ash can be steam-bent to form and enhance natural curves to improve the ergonomics of chairs, making them both practical and comfortable. Ash is a pale coloured wood that ages to a beautiful and natural mellow honey colour but it can easily be coloured with stain, if required. This adaptability makes it the wood of choice for these hand-crafted chairs. 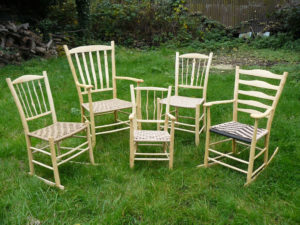 Rustic Ash Chairs transform trees into chairs using traditional methods, techniques and tools – see Chairmaking page for more information. 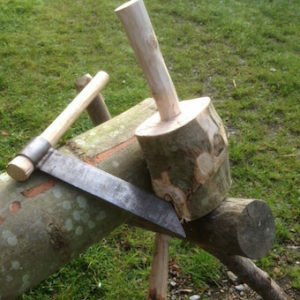 The emphasis is to create beautiful and functional chairs whilst retaining and preserving the old woodland bodger’s skills. The process of transforming trees to finished chairs is done with the smallest Carbon footprint possible. 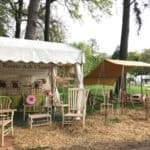 Timber is locally sourced from managed deciduous woodlands within a 5 mile radius of the workshop and hand tools are used to create each chair.